Writer Eric Garcia (Repo Men) introduces us to Ben Fischer, one of the key architects of Golden Shield--an invasive but advanced anti-crime surveillance system utilizing every security camera and internal system in San Francisco. Unfortunately, Shield''s artificial intelligence is unable to distinguish real threats from harmless exchanges, and needs to be supplemented with a human element. 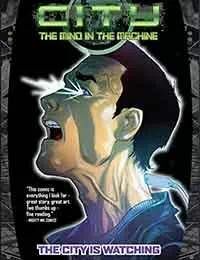 Against his will, Ben becomes that "mind in the machine," with life-changing consequences for both himself and everyone around him.